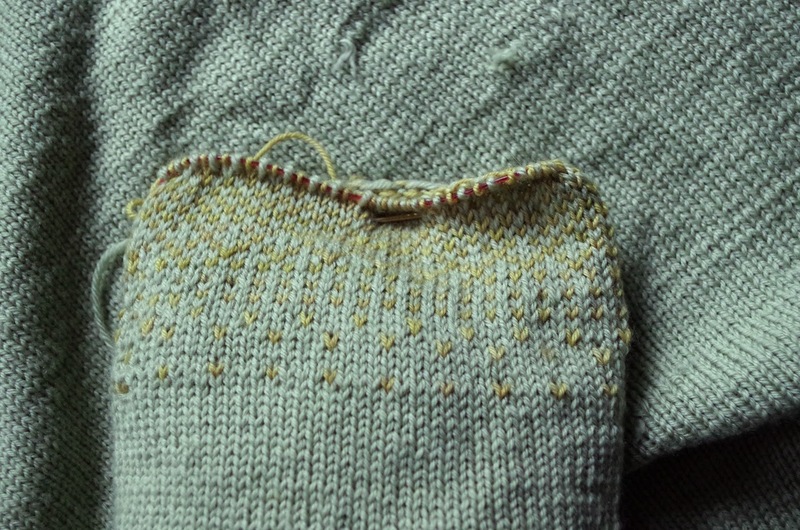 I'm known as somewhat fanatical knitter - and a slow one. To be exact, I do not knit slowly, on the contrary. 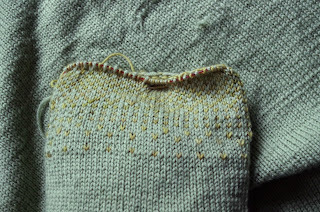 It just takes me time to finish a given piece, the main reason being that I have several on the needles. I tried to count but the result was inconclusive. Around six unfinished sweaters/tops and similar amount of shawls, scarves, cowls and the like. One is missing a bit of sleeve, I run short of yarn and now I'm undecided whether to order the one or two balls I may be needing or a whole bag because the yarn is nice (and discontinued). The other needs some measuring done and possibly ripping. Another one was a bad yarn choice and now I wonder what to do next. I did finish one in 2015 though. I got the yarn, it's from the family of Katia's merinos (Merino Sport or Merino Soft), I got ten balls plus some nicely matching angora blend from Anny Blatt, knitted the body and thought about making something creative with the sleeves. At the end, after at least two years elapsed, I tossed said angora aside and substituted it by a Bluefaced Leicester yarn from somewhere-on-fleabay dyed using alum mordant and St. John's Wort. It's the Dither pattern, a bit tweaked on the go and I'm sure to use it again someday soon. And obviously, an unfinished picture. I fail to get finished ones, even less so pics of someone wearing the stuff. May work on it in future. Hoarding cats would be worse, right?